This month our feature classes fall under the umbrella of Wellness@Willows, we offer a variety of wellness classes including Pilates, Barre, Body Balance, Stretch and Recover and Yoga. This month we will be featuring our Barre and Pilates Classes. All classes improve your overall health, while sculpting and toning your muscles. These classes are suitable for a range of levels and goals. Whether you want to increase your flexibility, core strength, posture or rehabilitate from an injury our Wellness@Willows Classes will help you to achieve a variety of outcomes. PILATES is low-impact exercise, focusing on flexibility, muscular strength and endurance. The exercises are performed with an emphasis on: precision and technique; balanced postural alignment; core strength; controlled, flowing movements; and using breath to centre the mind. Benefits - A Pilates workout is suitable for beginners and all different levels of ability. Health benefits include: improved flexibility, increased muscle strength and tone - particularly your abdominal muscles, lower back, hips and buttocks, the 'core muscles' of your body. Pilates exercises will boost your flexibility and joint mobility, as well as make your muscles stronger using your own body-weight, instead of weights. This low-impact form of exercise engages your muscles in a strong but gentle way. BARRE fitness is a hybrid workout class - combining ballet-inspired moves with elements of Pilates, Dance, Yoga and Strength training. Barre incorporates ballet barre and classic dance moves such as plies, alongside static stretches. Barre also focuses on high reps of small range movements. Some classes may use resistance bands and light hand weights to make the classes tougher and to help build lean muscle, while mats may be used for targeted core work. Benefits - Barre workouts are suitable for individuals of all fitness levels. 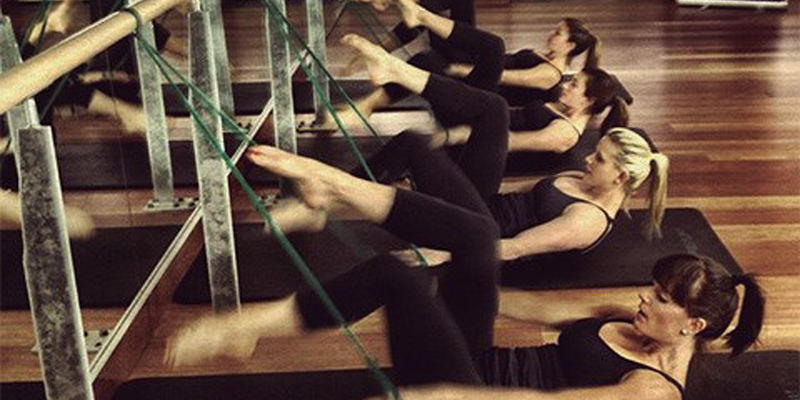 Barre delivers a full body workout that delivers results fast. It is great for strengthening your core and toning your glutes and legs, without increasing bulk and improves your posture. It also increases cardiovascular endurance and metabolism, which helps to quickly burn calories. Barre movements build strength without putting strain on ligaments and tendons making it an ideal cross-training option to pair with other exercises like running, weight lifting or cycling. Regular Barre workouts can increase bone density and help prevent injury or recover from an injury. To gain more energy. To be able to comfortabley rub 10km. To tone certain ares.